When thinking about going solar, there are a ton of benefits you can look at as evidence for why you should and why it’s a great idea. And there’s more than one amazing benefit to take advantage of when you go solar. Some people think it’ll just help the environment (which is true). Some people think it will just save them money (which is also true). But what if we told you it offer both those benefits and more? Luckily for you, that’s exactly what we’re going to do. Keep reading to learn all the amazing benefit you can get from solar, some of which you may not have ever even heard of before! Solar power is cost effective and will save you money! Following the initial investment of solar panels, generating electricity from solar devices is completely free of charge. This means that for the operational lifetime of a solar panel, it will effectively eliminate your electricity bills while also providing a payback on your initial investment. Although there is often a somewhat long payback period, a conventional solar panel installation will still provide a return on investment (ROI) in a matter of years. After the payback period, all the energy you generate is free and clear. Solar panels do not create any pollution! Solar panels do not create any pollution at all. The only pollution that is generated occurs during the transportation and manufacturing of solar cells, as well as during the mining of the materials required to produce them. After that, however, they’re pollution-free! Solar energy can provide power in remote locations! Solar power is ideal for providing a source of power in places where it may be either impossible or uneconomical to install a traditional electricity infrastructure. This includes remote locations, garden sheds and also various devices such as garden lighting. A top example of this can be seen in space where advanced solar panels are used to provide a source of energy for various kinds of satellites and also the international space station. Solar energy will last for as long as the sun lasts! Solar power is completely renewable. Although the sun doesn’t shine at night, it’s guaranteed to come up the next day. This process will happen every day for as long as life can be supported on earth. The planet will benefit from the use of solar energy for the rest of our lifetimes, unlike fossil fuels which are a non-renewable energy source and will be gone in about fifty years. Solar energy is completely silent! 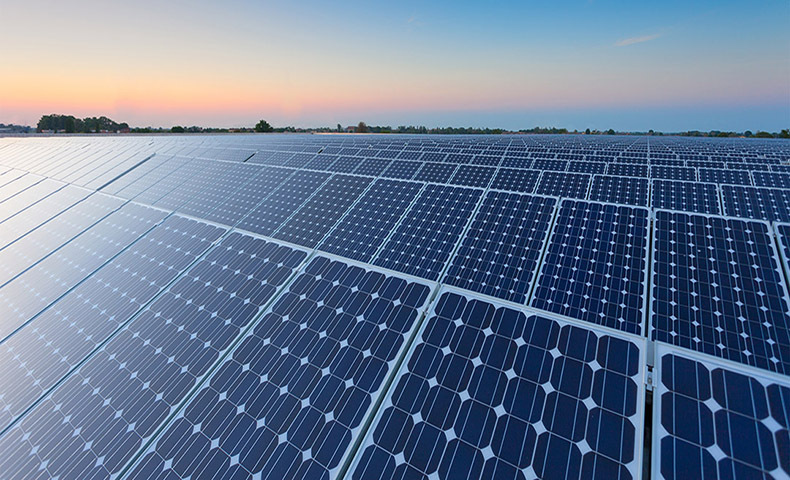 Solar panels have the advantage that they allow no noise when producing electricity. This can make solar panels more attractive to homeowners who may have been considering a domestic wind turbine system which produces some noise pollution. Solar panels are the preferred option almost always, but whether you choose solar panels or a wind turbine will depend on where you live and many other factors. Solar panels require almost no maintenance and are easy to clean! Another feature of solar panels is that makes them extremely popular is that they require very little maintenance. There are no moving parts in a solar power system, there is not much to go wrong with a system that has been installed professionally using the best quality components. You’ll just need to have an annual inspection to ensure everything is working properly and clean off your panels with a hose, which is super easy to do. Want to learn more about the amazing benefits of solar energy? Check out the HahaSmart blog for tons of info!